Why are so many people looking to Dr Z. for chiropractic care? It’s about lifestyle! Dr. Z’s patients enjoy positive changes in many areas of their lives. Dr Z’s philosophy is to maintain your whole body and health with a proactive approach – as opposed to just treating you when something happens. He believes that having a good diet, taking whole food supplements, exercising regularly and keeping your nervous system working optimally with regular spinal alignments, will keep you free from most common medical ailments. His patients receive the tools, guidance and monitoring needed to help them reach their health goals. Plus, chiropractic care is the least expensive practice in the health care industry. Chiropractors are the only professionals who are trained to diagnose and treat spinal subluxation – or “a slight dislocation or misalignment of the bones in the spine.” Read more about the five components that contribute to spinal subluxation below. Chiropractors adjust misaligned vertebrae. They are specifically trained to check the alignment of your spine. Each vertebrae of your spine should line up fairly straight and should have a proper amount of mobility. If an area needs correction, an adjustment is given. Why Does My Back Go Out Of Alignment? No person’s spine is ever perfectly straight or aligned. Vertebrae naturally misalign because they are not fused together, they are held together by muscles and ligaments. When you bend, twist, lift or just go on with your normal activities of life, vertebrae will misalign. A Chiropractor’s goal is to keep your back in the best alignment possible. This is accomplished by specific adjustments, exercises, nutritional advice and education on proper ergonomics. What Else Can Chiropractic Care Do to Help? Thankfully, chiropractic care helps with pain – that is what most patients come in for initially. The truth is that the benefits of chiropractic care are endless. If everyone knew all of the benefits of chiropractic care, there would be many more healthy people in the world! We help patients with neck and back pain as well as herniated discs, but we also help with headaches, TMJ, hip pain, knee pain, foot pain, carpal tunnel and headaches. Most importantly, by keeping your spine in proper alignment, your nervous system will function at a more optimal level. The healthier your spine, the healthier your nervous system – and therefore, the healthier you are. If you have any health issues you should have your spinal alignment checked for possible correlations. Most patients say that adjustments feel good! Depending on the cause of your pain or injury, you may feel some soreness after your initial treatment, but for the most part you will feel better. Once your condition is corrected and after regular adjustments, maintenance care is recommended. A maintenance care adjustment will help keep you out of pain. Why Do People Call Chiropractics a “Healing Art” and Why Is It So Popular? It’s simple. Like all medical science, chiropractic care is most effective when the doctor is well trained and passionate about helping people function physically and emotionally. People feel better, recover from sickness, from disease and from disability faster and with minimal or no use of drugs and surgery! Many who choose a chiropractic lifestyle report less stress, more vitality and more enjoyment! 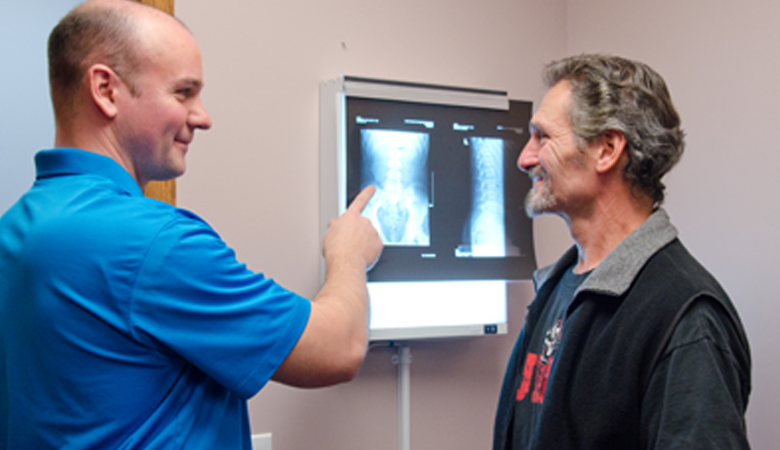 What Does Dr Z’s Chiropractic Philosophy Require of Patients? Recognition that dynamics exist between lifestyle, environment and health. Recognition that rather than simply treat their symptoms, it is better to understand the cause of illnesses in order to eliminate them. Recognizing of the importance of the nervous system and its relationship to how the body functions. Acceptance of the education and guidance component to help you follow your health goals throughout your life. Where the vertebra is either out of position, not moving properly, or are undergoing degeneration. This frequently leads to a narrowing of the spaces between the bones through which the nerves pass; often resulting in irritation or impingement of the nerve itself. The disruption of the normal flow of energy along the nerve fibers, causing the messages traveling along the nerves to become distorted. The result is that all of the tissues that are fed by those nerves receive distorted signals from the brain and, consequently, are not able to function normally. Over time, this can lead to a whole host of conditions, such as peptic ulcers, constipation and other organ system dysfunction. Since nerves control the muscles that help hold the vertebrae in place, muscles have to be considered to be an integral part of the vertebral subluxation complex. In fact, muscles both affect, and are affected by the VSC. A subluxation can irritate a nerve. The irritated nerve can cause a muscle to spasm, the spasmed muscle pulls the attached vertebrae further out of place, which then further irritates the nerve and you have a vicious cycle. It is no wonder that very few subluxations just go away by themselves. The VSC will also affect the surrounding tendons, ligaments, blood supply, and other tissues as the misaligned vertebrae tug and squeeze the connective tissue with tremendous force. Over time, the soft tissues can become stretched out or scarred, leaving the spine with either a permanent instability or restriction. The change in the chemistry of the body due to the VSC. Most often, the chemical changes, such as the release of a class of chemicals called “kinins,” are pro-inflammatory; meaning that they increase inflammation in the affected area. These changes get progressively worse over time if they are not treated correctly, leading to chronic pain, inflammation, arthritis, muscle trigger points, the formation of bone spurs, loss of movement, as well as muscle weakness, imbalances and spasm. Dr Z’s philosophy is to maintain your body & health, and not just treat you when something happens. He will be dedicated to your progress, but expects you to be proactive about your health as well. Optimal results will be obtained if patients accept guidance and act on recommendations for exercise, nutrition and lifestyle.